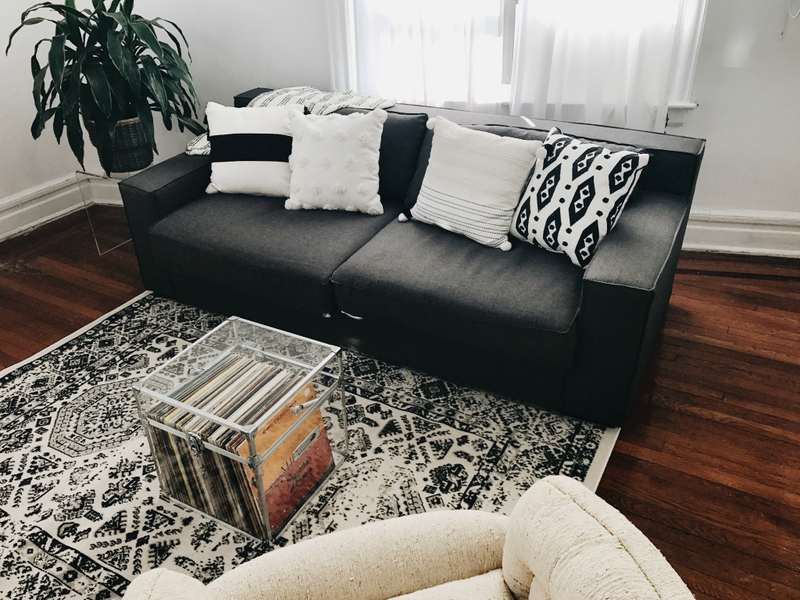 My living room has been in a slow transition since I basically went crazy this winter and sold all of my former furniture. It's coming together really organically and it feels good. 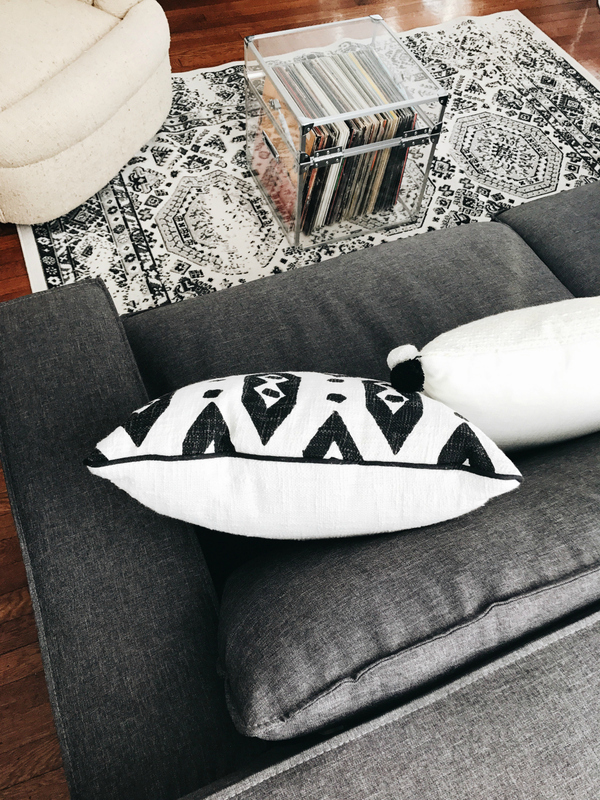 I swapped out my icey blue velvet sofa with studs for this super minimal charcoal grey thing that at first I HATED. I knew it would work in the room as I continued to furnish it but it was just so drab and boring to start. 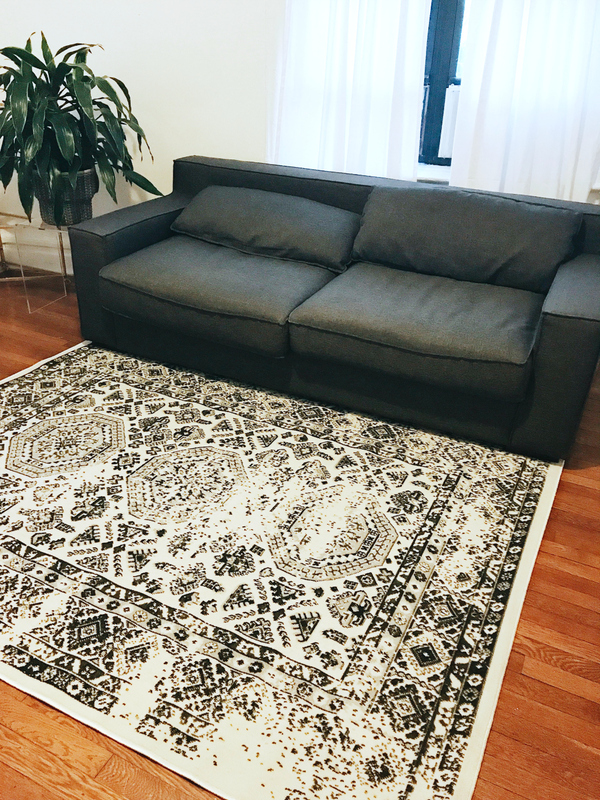 It was important to me to get something that I could accessorize around rather than have my sofa be the statement piece. 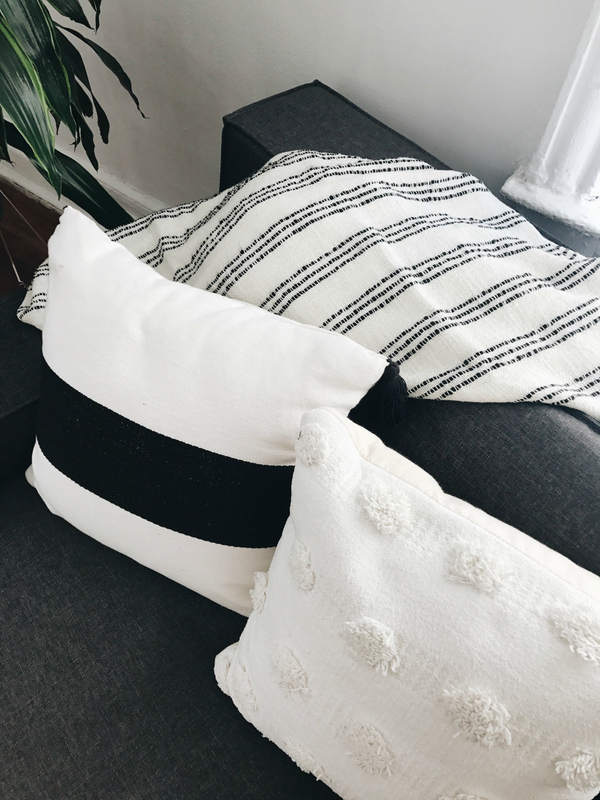 The redesign of my minimal bedroom inspired something in me and gave me so much piece I needed the rest of the apartment to give me those same vibes. I thought about adding pops of color but if you know me at all - that was a fleeting thought. Instead I decided to play with texture and patterns. It's monochormatic and my wood floors, and other wood furniture (I'll do a full room tour soon) add more depth and I'm using my many plant babies and a little bit of art to punch in color. I definitely want to socialize at home more often. More dinner parties, game nights etc and creating a comfy yet chic place to hang out in was important to me. 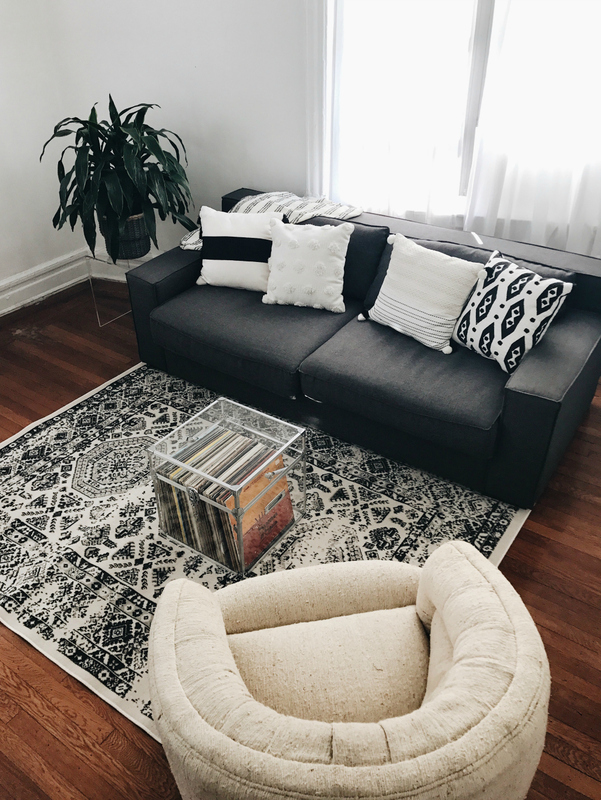 I oddly don't do much living in my living room and I'm aiming to change that! 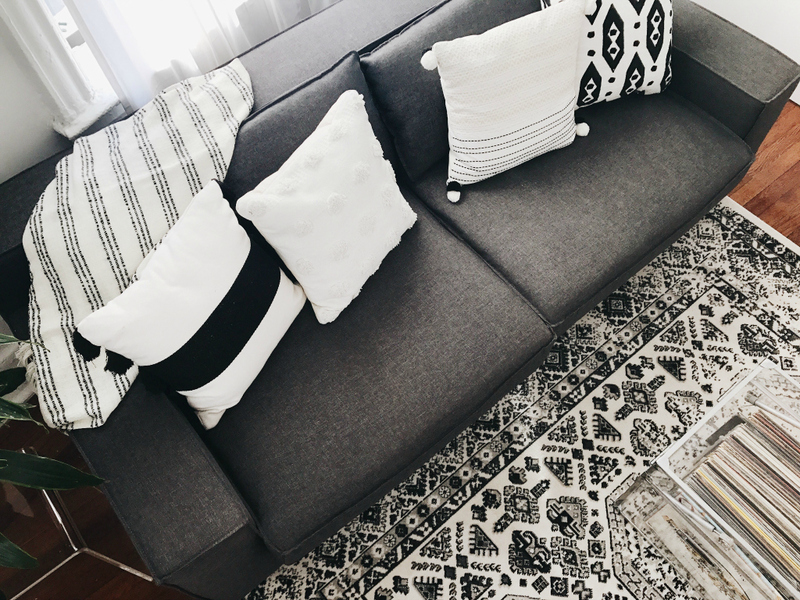 Shop My Style - I also picked up the rug and throw pillow because the home sale was too good not too!